This scenario is more common than you think. However there are a number of things you can do to make the process easier, and potentially save on the cost of a few sample pots! 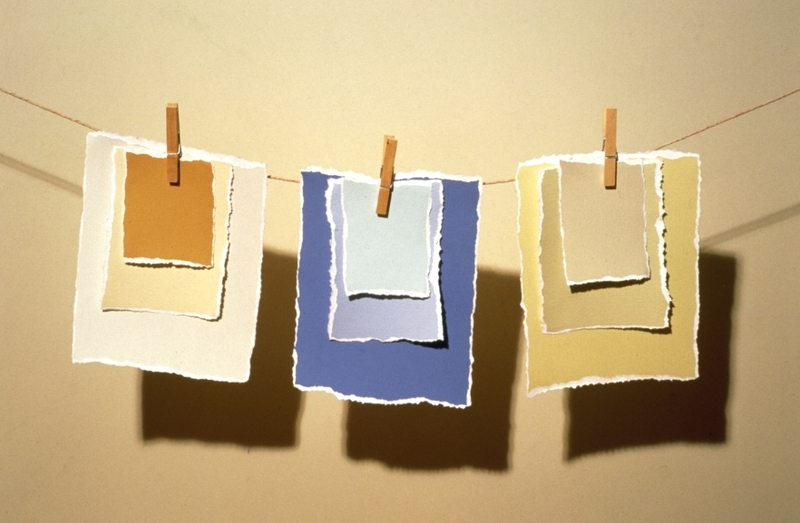 Here are our tips for narrowing down your colour choice to find the perfect tone. 1. Get lots and lots of colour cards! You can order online from most manufacturers and have cards posted out to your home. No longer are you restricted to the choice on the shelf at your local DIY store. You can order a Craig & Rose colourcard by clicking here. 2. Don’t be afraid to cut colour cards up so you can see blues or greys from different manufacturers together in one place. Colours are often affected by the colours that surround them, so it can be hugely helpful to view the colour chip that you like against a blank sheet of white A4, and then add some of the other colours that you are considering so that you can compare them. 3. Consider the amount of light within the room and how this might affect your colour – will it get lots of natural light or will the shade look darker in a room with no sunlight? 4. When you’ve narrowed it down to a shortlist, buy your sample pots. Instead of painting these straight onto the wall, paint each colour onto a sheet of A4 card. When they are dry, you can attach to the walls and see how they looks on different wall areas with different levels of light. This also means you can compare the larger samples of colour against each other with more ease. 5. Lastly, consider how your shortlist of colours will look with your furniture, textiles and accessories. Hold your A4 painted samples up against furniture and curtains. If you haven’t yet bought these, order fabric samples or take your A4 colour swatches in store to see how they look together. You could even put together a moodboard with swatches of everything in one place. Although simple, these tips can really help to take some of the mystery out of visualising colours within your home and really do make a difference. If you are thinking of redecorating this year, give our tips a try and see if they work for you! If you are ready to start choosing colours, you can view our full range here.